Chester is an amazing place to live. While it is undoubtedly beautiful and packed with history, Chester is also a bustling 21st century city with a thriving independent scene. From its beginnings as a Roman fortress 2,000 years ago, Chester has managed to retain its unique character whilst offering everything that you would expect from a modern city. The City of Chester is a vibrant mix of cafes, shops and ancient walls, rows and architectural and archaeological features. The City is home to all-year-round arts festivals, events, exhibitions and street entertainment, including the famous Chester Races, the Rowing Regatta and the internationally acclaimed Chester Zoo. Chester is a city of rich historical significance. 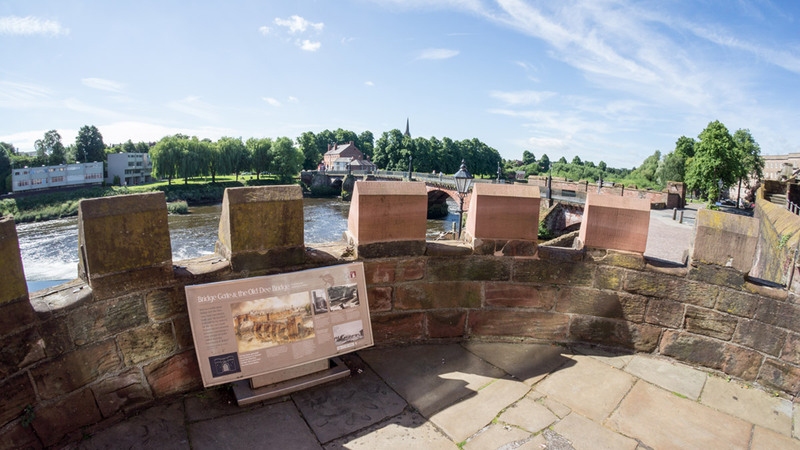 Previously known as Deva when it was founded in the year AD 79 as a Roman fort, discover the historical and archaeological delights of Chester. A great way to see the city is from the ancient city walls, they’re the UK’s most complete circuit of city walls. 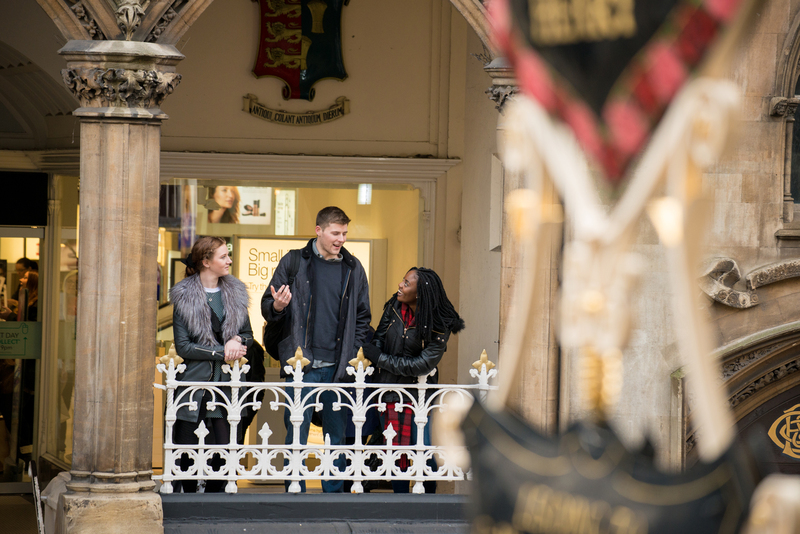 Explore the city to discover more historical delights, such as Chester’s iconic Eastgate Clock, or the largest stone-built Roman amphitheatre in Britain. 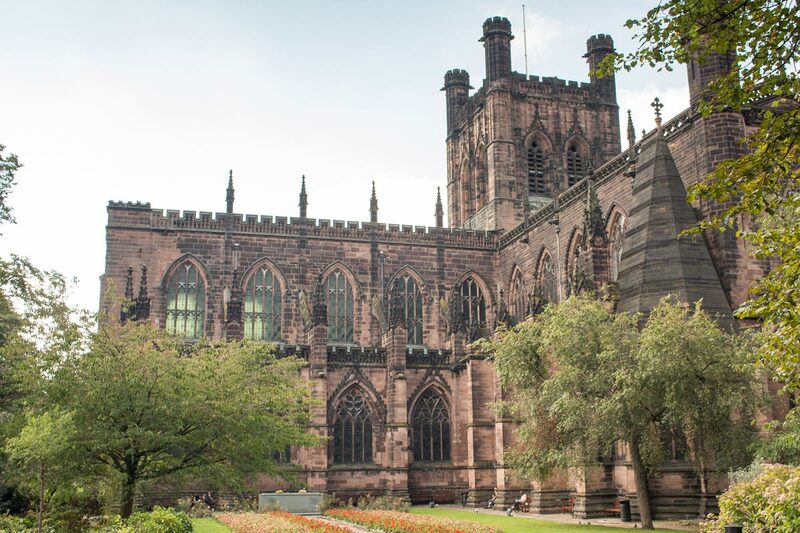 An archaeological treasure, Chester Cathedral is where our graduates collect their well-deserved degrees in a series of grand ceremonies every year. During other times of the year, visitors can enjoy exploring this historical and impressive Cathedral, as well as exhibitions, events and services. There is also a fully functioning falconry within the Cathedral grounds, where you can either visit the grounds, or have an up-close and personal falconry experience. Chester city centre is unique in having two levels to many of its streets – the Medieval ‘Rows’ which create a hidden world of shops and bars for you to explore. The city centre is packed with high street favourites, sitting alongside designer boutiques and independent gems. As well as the Grosvenor Shopping Centre, a stroll along the Walls, the Rows, or through some of Chester's hidden streets uncovers a host of unexpected independent shops, music venues and galleries. Escape from the hustle and bustle of the city at the Groves, Chester’s riverside promenade. 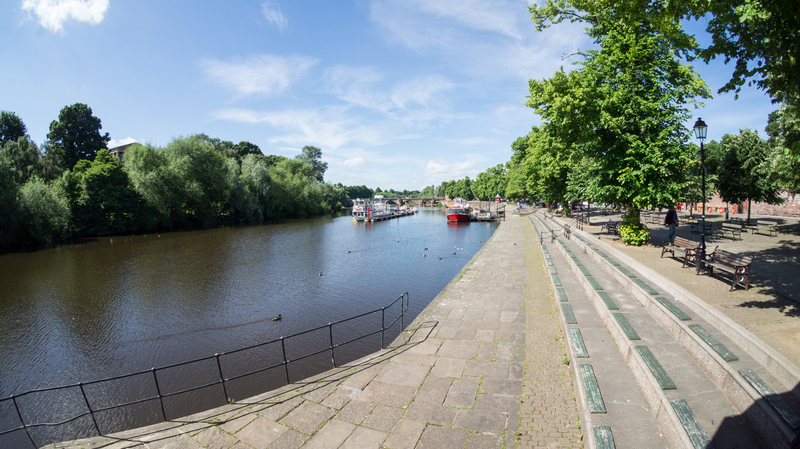 With ice cream stands, beer gardens, water sports, and live music, all situated alongside the River Dee, it’s no wonder this remains a popular location for both residents and tourists alike throughout the year. 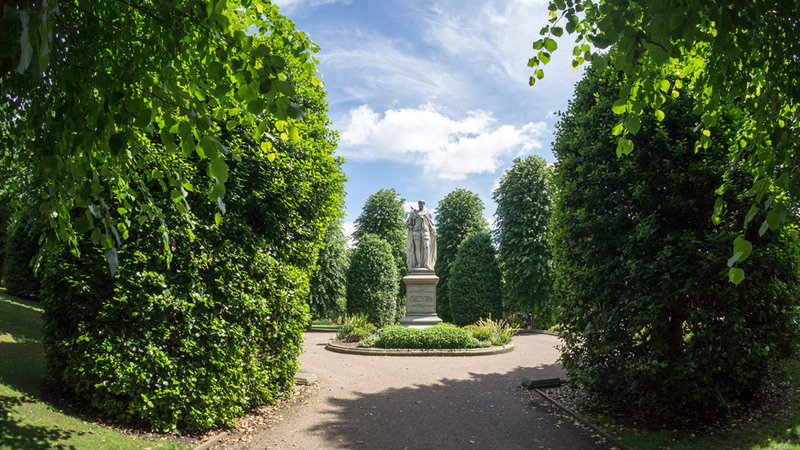 When the sun is shining there’s no better place than the beautiful surroundings of Chester’s Grosvenor Park; one of the finest examples of Victorian parks in the North West. With 20 acres of land overlooking the River Dee, this is the perfect location to meet with friends or relax with a book away from the bustling city vibes. Chester is home to an array of events and festivals throughout the year, from events like the Christmas Markets, Chester Pride, Chester Live (a community based, multi venue live music event), the Chester Literature Festival, Chester International Film Festival and the Food & Drink Festival, among others. 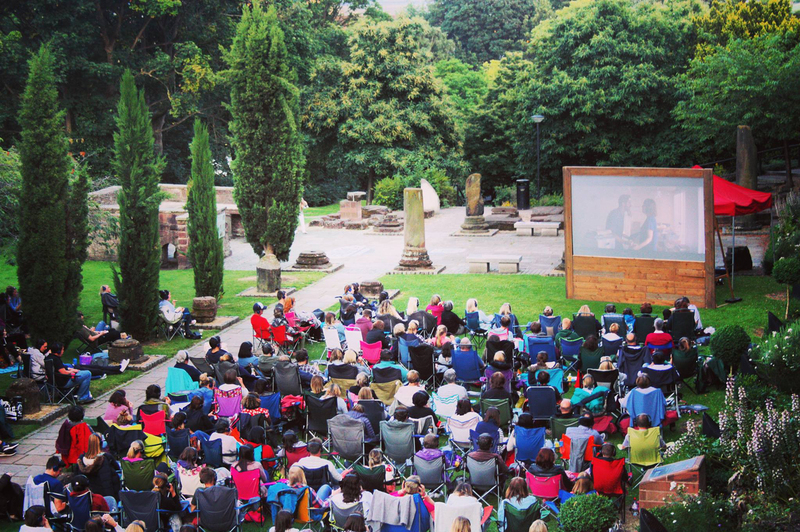 Chester also boasts a thriving arts scene, including theatre and performing arts productions through Storyhouse; which includes the fantastic Grosvenor Park Open Air Theatre Company and Moonlight Flicks. In fact, with so many indoor and outdoor music, art, theatre and cinema events, the hardest decision will be deciding which ones to go to! Voted one of the world’s top zoos, Chester Zoo is the perfect place to spend the day. 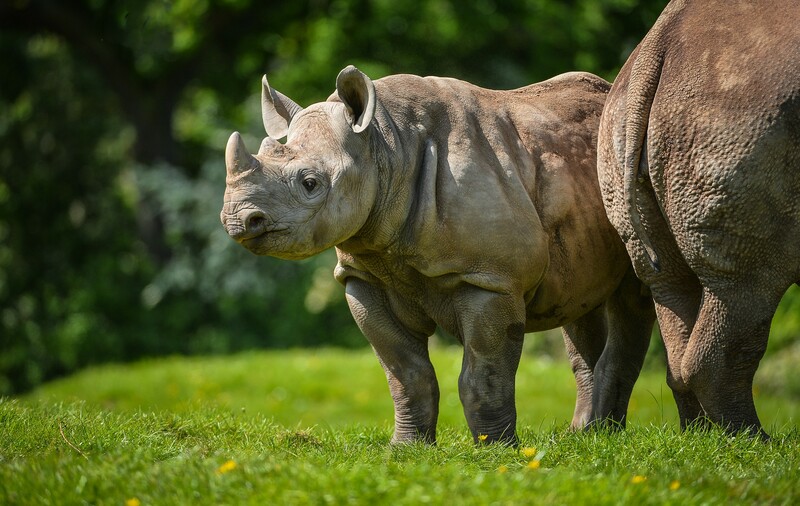 With 125 acres of award-winning zoological gardens to explore, and 21,000 animals to discover, it’s no wonder it’s the most visited paid-for attraction outside London (The Association of Leading Visitor Attractions (ALVA), 2018). Chester has food to suit all tastes. Its cobbled streets are lined with cuisines from across the globe, and include popular restaurants chains, independent eateries, as well as award-winning and Michelin-star restaurants. We also have a growing food market scene, food events such as the Chester Vegan Festival, and Chester Makers Market – where you can enjoy a variety of craft products from stall holders, including award winning local food, drink, cookery demonstrations and more. In 2018, Chester was awarded the coveted ‘Purple Flag’ status in recognition of its night time economy. 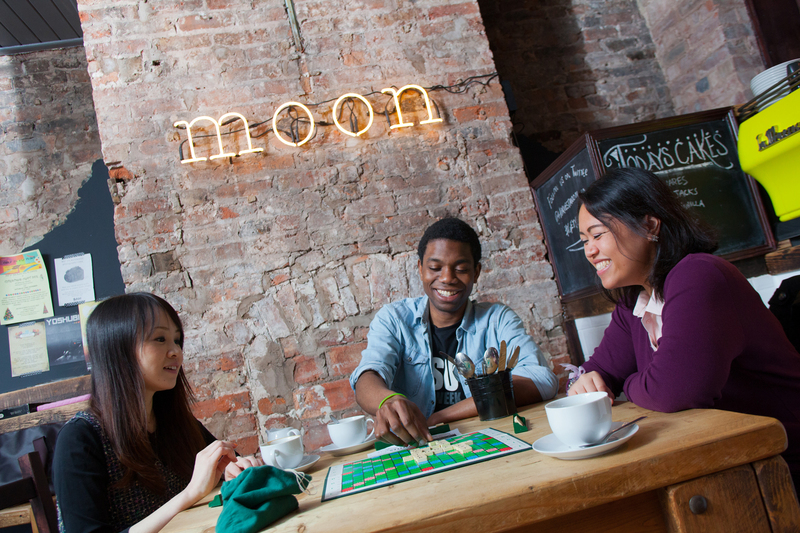 So whether you want to have drinks with friends, watch performances on the stage, or enjoy a vibrant music scene, Chester has something for everyone. There is a vibrant music scene both on and off campus. Bands and DJs play across the city every night of the week and big names can be found at venues such as Telford’s Warehouse, The Live Rooms or Alexander’s Live, which also hosts a regular comedy night. 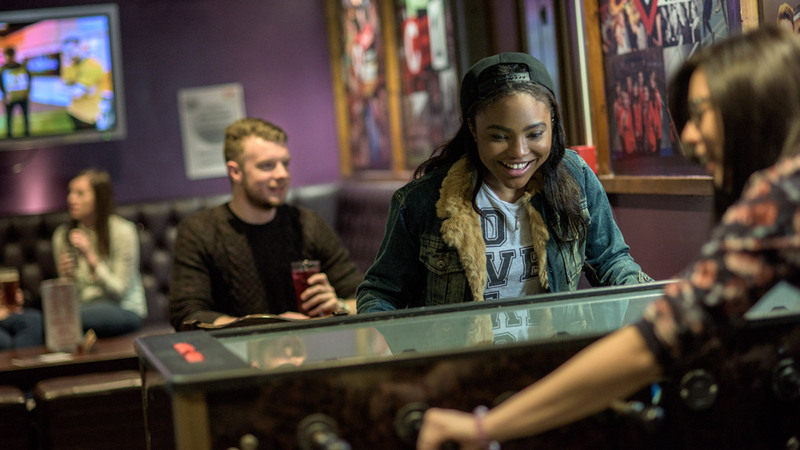 Some venues have links with the Chester Students’ Union and hold exclusive student nights, however if you're looking for entertainment closer to campus, the Chester Students' Union bar (CH1) is based directly on the Parkgate Road Campus. At the heart of the city, you will find Chester’s award-winning cultural centre, Storyhouse. Visitors can enjoy two state-of-the-art theatres, a cinema, library, restaurant and bar. Throughout the year, Storyhouse welcomes the best of home-produced and internationally acclaimed work, offering over 2,000 activities each year, featuring everything from specific festivals, dance, opera, drama, music, comedy and more!